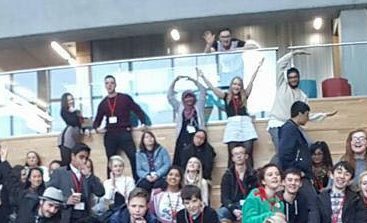 Oldham Youth Council attended the BYC Convention 3 and Youthforia meeting last weekend, held at Manchester Metropolitan University. Topic’s of discussion included the UKYP campaigns (votes at 16 and curriculum for life) plus a consultation on how Youthforia is doing. 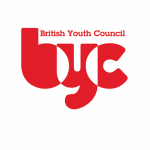 On 3rd December Oldham Youth Council attended the BYC British Youth Council – A Youth Lead organisation representing 11-18 year olds across Great Britain. convention. After welcome speeches we were on our way to work. Everyone was split off into different groups and work was to be done on each of the curriculum for life subject topics. Each group had a different topic, Political education, Citizenship education, Sustainable education…etc. and we were asked in our groups to talk about what would actually be taught in these lessons, how they would be taught and challenges we’d face along the way. Amongst these challenges were members of the steering groupA group that manages (steers) projects and work done for an organisation. 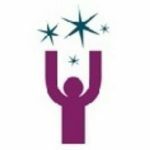 One example is Youthforia NW’s Steering Group, which plan all the events occurring at a Youthforia NW Meeting.... More who role played different people such as MPs who supported and were against PSHE and Headteachers. This helped us to argue the importance of Curriculum for life and also gave us an insight into the type of questions we could be facing when campaigning for it. After lunch we were then again split off into groups and had to decide how to tackle a certain issue in our local authority. Our group had talked about how in certain cultures women and men had different stereotypical responsibilities that we wanted to educate them about by talking about them in places of worship. Then we all came back together to feedback to everyone else to convince the session. We were welcomed by the Youthforia An organisation in which youth councillors from the North West meet up and work on campaigns and training. staff and the steering groupA group that manages (steers) projects and work done for an organisation. One example is Youthforia NW’s Steering Group, which plan all the events occurring at a Youthforia NW Meeting.... More who put us all into different groups. We then were told to go off in our groups to discuss the different topics in curriculum for life. Each group had a different topic, political education, citizenship education, sustainable education…etc. My group had to discuss political education and the different challenges we’d face during the campaign with each of our topics. There was a panel of MPs and headteachers that were played by the steering groupA group that manages (steers) projects and work done for an organisation. One example is Youthforia NW’s Steering Group, which plan all the events occurring at a Youthforia NW Meeting.... More and a youth worker who took his role too seriously! This gave us a chance to see the different challenges are arguments we’d have against our chosen topic. When we came back from lunch, we split off again in to groups to discuss a certain issue that affected people in our local authority. The group I was in decided to work on how men and women in certain cultures had different stereotypical roles and responsibilities. The way we wanted to inform them was by talking to them in places of worship. Then we came back together as a big group to share our ideas and good practice. To say that Youthforia An organisation in which youth councillors from the North West meet up and work on campaigns and training. was interesting experience would be an understatement. As it was my first experience, I must say it was really good. You walk in and see many faces you’ve never seen before. To be honest, I was nervous, I didn’t know what to expect. But the programmes that we’re given out in the beginning helped with that. And then we’re all called together and we play a game, and suddenly the foreign faces become less scary and awkward and become acquaintances. We are then taken into a room and put into teams, and then it happens. Whilst discussing things important to you, you meet others with the same passions and acquaintances become friends, slowly but surely. And by the time it’s lunch, you’re chatting away about who won the previous debateA debate is when two parties discuss a statement, with one side for the statement given, and one against. Each party gives points on why they stand where they do on the statement, trying to create a convincing argument to win the debate.... More. Lunch was also good, there was something for everyone so it isn’t a worry to find something to eat. Then you talk about what matters most to you and by the end of the day you are left happy and full of knowledge. I would express what my first Youthforia An organisation in which youth councillors from the North West meet up and work on campaigns and training. experience was like in more words if I was able to but it would be simply impossible.